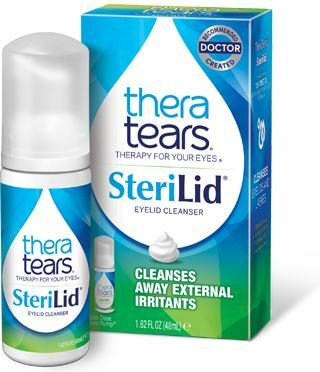 TheraTears SteriLid Eyelid Cleanser removes oil, debris and other irritants that can build up on eyelids and eyelashes. Comes in 1.62 FL oz. foaming pump dispenser. 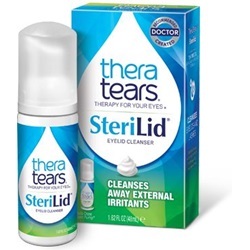 Preservative free. NDC: 58790-0005-50. Manufacturer: Akorn. Comes as singles.